Problems with airflow or insulation can lead to bigger issues. In crawlspaces, mold and mildew become a danger that’s hard to spot. 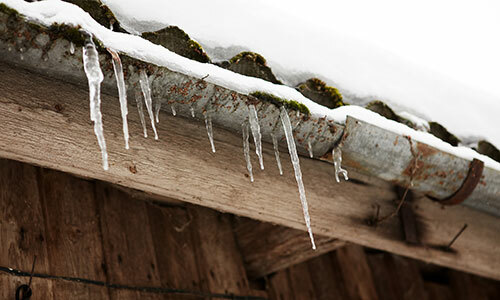 In attics, poor insulation and ventilation could lead to ice damming and roof damage. Let Inter-Lakes Insulation help you avoid these problems! If you’ve got issues with insulation or ventilation, count on us to also provide remediation for these other issues as well. In areas with poor ventilation, moisture and heat buildups are quick to occur. Unfortunately, these are the two biggest ingredients for mold and mildew. If your crawlspace, attic or bathroom isn’t properly ventilated, you’ll soon be calling for mold removal in Traverse City, MI! We can help to prevent mold and mildew problems. And, if you already have the beginnings of a problem, trust us to remediate them fully before getting to work on the ventilation issue. 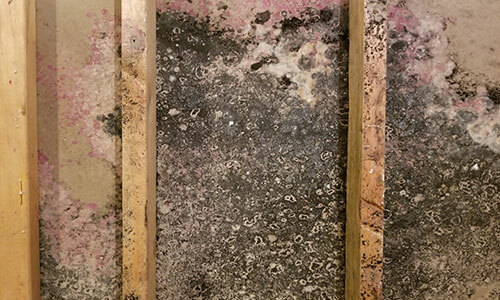 We neutralize mold and give your space the proper airflow it needs to keep mold from forming. Heat rises, but if it gets trapped in your attic during the winter months, the results could be disastrous. A warm roof will melt the bottom layer of snow, while cold temps will continue to reform it as ice. Eventually, this growing ice dam will back up under your shingles and seep into your attic, causing all sorts of trouble. We’re the team to call for ice dam removal in Traverse City, MI. Not only do we get rid of ice dams on your roof, we’ll correct the ventilation issue causing hot air to build up in your attic. We can also re-insulate your attic to ensure proper heat retention and efficiency. Avoid the problems that come from unchecked mold growth and devastating ice damming! Contact the professionals at Inter-Lakes Insulation today to have these problems thoroughly assessed and completely remediated. We provide solutions that are lasting and safe, so you can enjoy your forced air with peace of mind. Contact us today at 231-313-0485 to schedule an inspection.